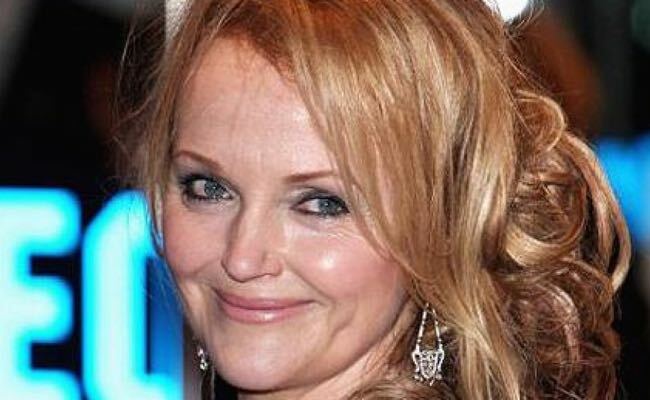 Delighted that the wonderful Miranda Richardson will be honoured at the Critics’ Circle Film Awards on Sunday. Sat next to her at a Fox dinner at the Toronto International Film Festival two or three years ago and she is delightful company as well as a great actress. Look forward to seeing her again. LONDON, 12 JANUARY 2015: The UK’s top film critics will present Miranda Richardson with their highest accolade, the Dilys Powell Award for Excellence in Film, at their awards ceremony on Sunday. Born in Southport, Lancashire, Richardson made her film debut in Mike Newell’s “Dance With a Stranger” (1985) and has been acclaimed for her work in movies, theatre and television. She has been nominated for two Oscars (for “Damage” in 1992 and “Tom & Viv” in 1994) and seven Baftas, and won both the Bafta and the London Critics’ Circle Film Award for “Damage”. Her ongoing film work includes projects with directors such as Steven Spielberg (“Empire of the Sun”), Robert Altman (“Kansas City”), Tim Burton (“Sleepy Hollow”), Neil Jordan (“The Crying Game”), David Cronenberg (“Spider”), Stephen Daldry (“The Hours”) and Nicolas Roeg (“Puffball”). This past year, she appeared in Amma Asante’s acclaimed historical biopic “Belle” and the current release “Testament of Youth”, based on Vera Brittain’s memoir. She also had a memorable cameo in “Muppets Most Wanted” and teamed with Anna Chancellor to revive “Mapp & Lucia” on BBC One. Dilys Powell was an iconic British author and film critic who pioneered a new style of cinematic journalism. The British Film Institute described her as “open to new directions in cinema … not constrained by the middle class shibboleths of ‘good taste’.” Her final review, of Kubrick’s “Barry Lyndon”, was published in The Times on the day of her death in June 1995. Recent Dilys Powell Award honorees include Nicolas Roeg, Kristin Scott Thomas, Helena Bonham Carter and last year’s recipient Gary Oldman. The award has been given out annually since 1991, when it was presented to Dirk Bogarde. Mike Leigh’s biopic “Mr Turner” and Alejandro Iñarritu’s “Birdman” lead the nominations for the 35th London Critics’ Circle Film Awards, which will be presented in a black tie ceremony at The May Fair Hotel on Sunday, hosted by Alice Lowe and Steve Oram, who won the Critics’ Breakthrough British Filmmakers award for their screenplay for 2012’s “Sightseers”. Also in contention for Film of the Year are “Boyhood”, “The Grand Budapest Hotel”, “Ida”, “Leviathan”, “Nightcrawler”, “The Theory of Everything”, “Under the Skin” and “Whiplash”. The red carpet event is sponsored by The May Fair Hotel, Audi, Hardy’s, Voss and Cameo Productions. This entry was posted in Film, News and tagged Bafta Film Awards, Critics' Circle Film Awards, May Fair Hotel, Miranda Richardson, Oscars, Toronto International Film Festival. Bookmark the permalink.